Renowned for its bar-raising blend of fashion and performance, the sleek silhouette of the Adirondack II is packed with premium materials and cold weather technology. Whether the collar is cuffed down or folded up, the waterproof leather, water-resistant wool, insulating UGGpure™ interior, breathable eVent® membrane, and traction-enhancing Vibram® outsole on this first-rate snow boot stand up to temperatures as low as -20°C in unsurpassed style. This Classic Slim™ version of the iconic Classic Short features the same premium materials, expert craftsmanship, and signature comfort as the original. Pretreated to repel water and stains, the Amie also features added arch support, a subtle wedge, and the innovative Treadlite by UGG™ outsole for incredibly lightweight traction, cushioning, durability, and flexibility. 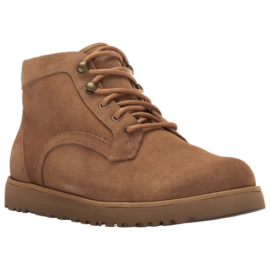 Pro Tip: This boot has a more traditional fit than the Classic Boot. It is designed to be worn with bare feet, but if you would prefer to wear it with socks, you might want to consider ordering a half size up. Fixed bows adorably update our iconic boot, which boasts soft Twinface, that has been pretreated for protection against water and stains, and our Treadlite by UGG™ sole, which provides increased cushioning, durability, and traction. Boasting our signature Twinface sheepskin, this iconic boot is now water resistant, stain resistant, and equipped with the Treadlite by UGG™ sole for lightweight cushioning, durability, and traction. Wear it buttoned up or undone and cuffed to expose the plush interior. Inspired by our iconic Classic, this slim style combines Twinface sheepskin and soft suede—both of which have been pretreated to repel water and stains. Equipped with added arch support and our innovative lightweight outsole, the versatile pair offers stability, cushioning, and durability. The duck boot has never been so sartorially inspired. Crafted from waterproof leather and sealed to keep moisture out, the Cecile sits on a cork-infused Spider Rubber outsole for optimum traction on slippery surfaces. Shorter height fits beautifully under or over pants. Precision craftsmanship aplenty in the reinforced heel, raw seams, and signature UGG® label. 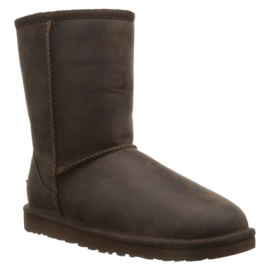 UGG® lining and footbed delivers undeniable comfort, breathability, and superior warmth. 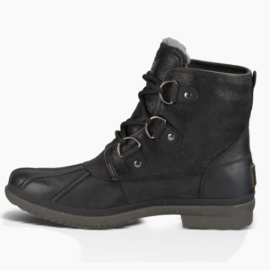 EVA outsole offers lightweight comfort and cushion. Slight dye transfer may occur with darker colored fur during first few wears. 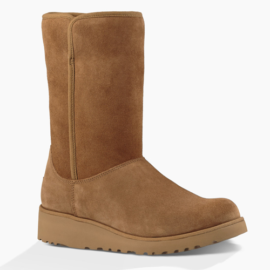 When you’re searching for quality, rest assured that we only carry genuine UGG® products. The Classic Tall is an icon of casual style. 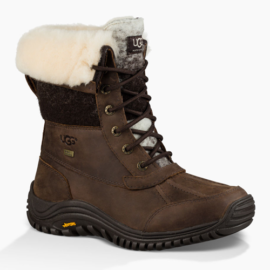 Now pretreated for protection from water and staining, this luxurious sheepskin boot has also been updated with the Treadlite by UGG™ sole, which provides increased cushioning, durability, and traction. UGG® has partnered with Pendleton to create a special collection that reflects a mutual commitment to quality and the rich heritage of each brand. 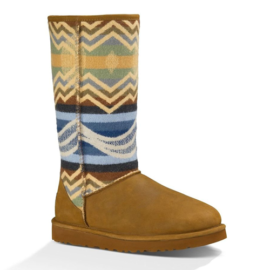 This sophisticated take on Western style fuses burnished suede with an exclusive Pendleton jacquard printed with a design inspired by the beaches and mountains of Southern California, where UGG® was founded.